Here’s the video clip from Christmas special of The Morning Brew with Larry Ahrens in Albuquerque. I give the hosts gift baskets and my New Year’s cocktail is given Santa Claus’ stamp of approval! You can find the recipes that I made on the show (Silent Night and Orange You Glad it’s New Years?) here. This entry was posted in recipes, video and tagged chocolate cocktail, christmas cocktail, greg mays on morning brew, greg mays on the morning brew, morning brew, morning brew with larry ahrens, new years cocktail, orange and chocolate cocktail, orange you glad its new years cocktail, rumchata, rumchata cocktail, silent night cocktail, simple cocktails on the morning brew on January 8, 2014 by Greg. Merry Christmas! If you caught my segment on the Christmas special episode of The Morning Brew, welcome to Simple Cocktails! Here are the recipes I shared – the second one was a favorite of The Big Man himself. This entry was posted in liqueur, recipes, rum, vodka and tagged chocolate cocktail, christmas cocktail, greg mays on morning brew, greg mays on the morning brew, morning brew, morning brew with larry ahrens, new years cocktail, orange and chocolate cocktail, orange you glad its new years cocktail, rumchata, rumchata cocktail, silent night cocktail, simple cocktails on the morning brew on December 25, 2013 by Greg. Out here in the southwest United States, we have a tasty beverage called Horchata (OR-cha-tah). It’s a sweet, creamy drink that’s a combination of rice, almonds, cinnamon, and other flavors. You might see it served out of a big glass jar by ladle or out of a waterfall juice machine. 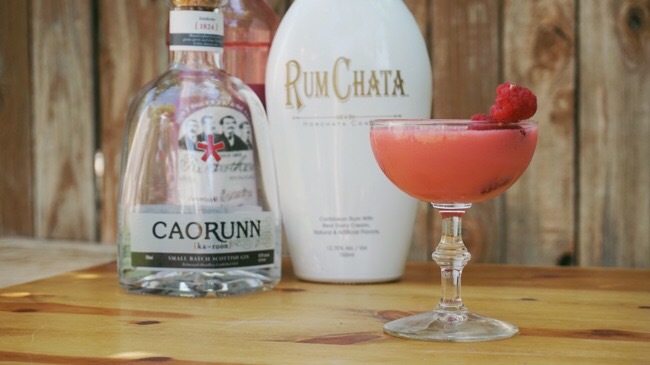 This entry was posted in liqueur, recipes, reviews and tagged horchata cocktails, horchata liqueur, rumchata on November 30, 2012 by Greg.